For the second time in just over two years, an outbreak of mumps has hit the NHL. This one, which began in late February, doesn’t seem to be as widespread as the outbreak in November and December of 2014, which hit five teams. So far, only a few players in Vancouver and Minnesota have been infected, and with no new reports so far this month, perhaps it’s been contained. I had the mumps as a child. This would have been around 1971, although I have read that the mumps declined by 99 percent after a vaccine was introduced in the 1960s. (Was I just unlucky?) Booster shots since then are apparently effective only 88 percent of the time. 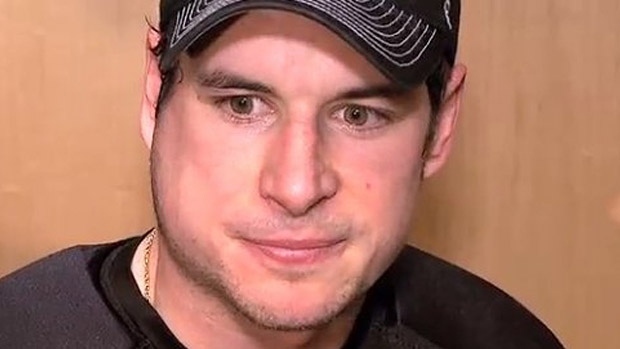 Sidney Crosby with the mumps in 2014. The NHL outbreaks might make a good story for anti-vax conspiracy theorists, but the truth is that the mumps remains most prevalent where people congregate in close settings and it spreads through mucus and saliva. Sounds an awful lot like every hockey dressing room I’ve ever been in! The truth is, flu bugs and other germs hit teams in every sport often enough. It’s usually nothing serious – but it can be. The most famous incident of hockey and disease involves one of the most deadly pandemics in world history. The so-called Spanish Influenza of 1918 to 1920 infected as many as 500 million people around the world and killed as many as 50 to 100 million. The Spanish Flu resulted in the final game of the Stanley Cup series of 1919 being cancelled after several members of both the Montreal Canadiens and the Seattle Metropolitans came down with the disease. Many people who read this will know that Joe Hall of the Montreal Canadiens died of the Spanish Flu. (Technically, he died of pneumonia, as did most of the flu’s victims, when he passed away in Seattle’s Columbus Sanatorium on April 5, 1919.) Some will know that Canadiens owner George Kennedy never truly recovered from his bout before passing away on October 19, 1921. Report of Joe Hall’s death in the Seattle Times Sunday edition on April 6, 1919. Photo courtesy of the Society for International Hockey Research. Hall and Kennedy are the most famous members of the professional hockey fraternity to die of the Spanish Flu, but they aren’t the only ones. Hamby Shore isn’t a name many people know anymore, but 100 seasons ago when the NHL was just starting out, he was an important member of the Ottawa Senators. Shore had first played with his home town team back in 1905, and although injuries slowed him down during the NHL’s first season of 1917-18, he was still a fan favourite and was expected to be an important veteran presence on Ottawa’s 1918-19 team. of the Society for International Hockey Research. But around the beginning of October in 1918, Shore’s wife took ill with the Spanish Flu. He contracted the disease while nursing her at home. Ruby Shore recovered, but Hamby would spend a week at Ottawa’s Walter Street hospital before succumbing to pneumonia on October 13, 1918. On the day of Shore’s funeral in Ottawa, October 16, 1918, the hockey world suffered another tragedy when the son of future Hall of Famer Jack Marshall died of pneumonia brought on by the Spanish Flu. Bobby Marshall was just 12 years old. death of Bobby Marshall and the funeral of Hamby Shore. By the time the NHL opened its second season in December of 1918, the Spanish Flu had seemed to vanish from the eastern part of North America, but it was still raging in the west. Captain Eddie Oatman of the Victoria Aristocrats was too sick to play when the rival Pacific Coast Hockey Association began its season. Oatman was better within a few weeks, but other Victoria players got sick too. Lester Patrick caught the flu right after Oatman. Patrick wasn’t just a player in Victoria. He was also the team’s owner, coach and general manager. Having been sick himself, Patrick took no chances when other players showed symptoms. According to a February 21, 1919 story in the Victoria Times, if anyone had even a hint of a fever, he was sent home to bed, and the team doctor made a visit. Despite the precautions, seven Victoria players in all caught the flu during the 1918-19 season, but with prompt care, and some very good luck, not a single one of them died. Various stories from the Victoria Colonist from January and February of 1919. 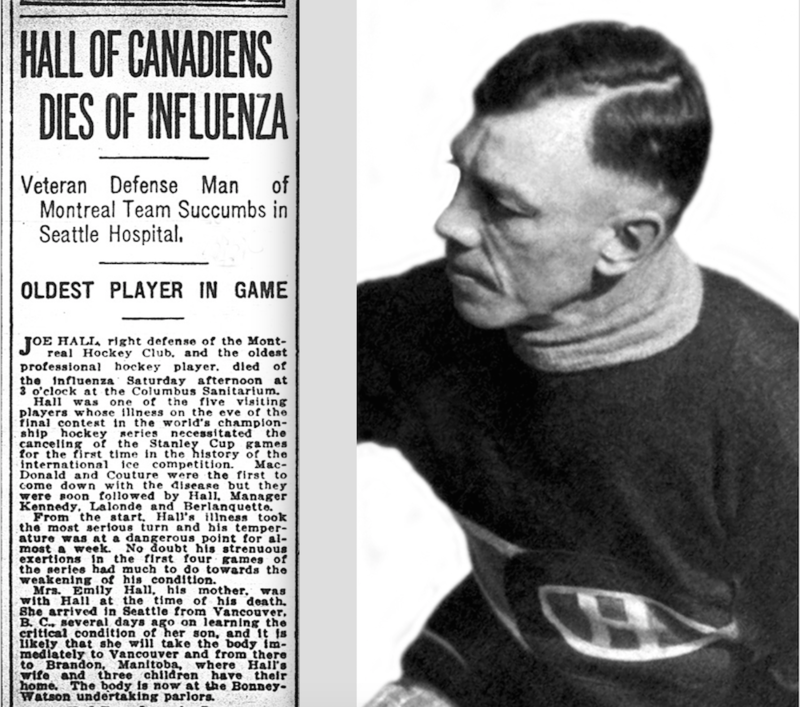 It’s long been said that Joe Hall, George Kennedy and the other members of the Montreal Canadiens caught the Spanish Flu in Victoria while awaiting the winner of the PCHA playoffs prior to the Stanley Cup Finals. This was even reported in newspapers at the time, but Seattle defeated Vancouver for the PCHA title while the Canadiens were still on the train heading to the West Coast from Montreal. 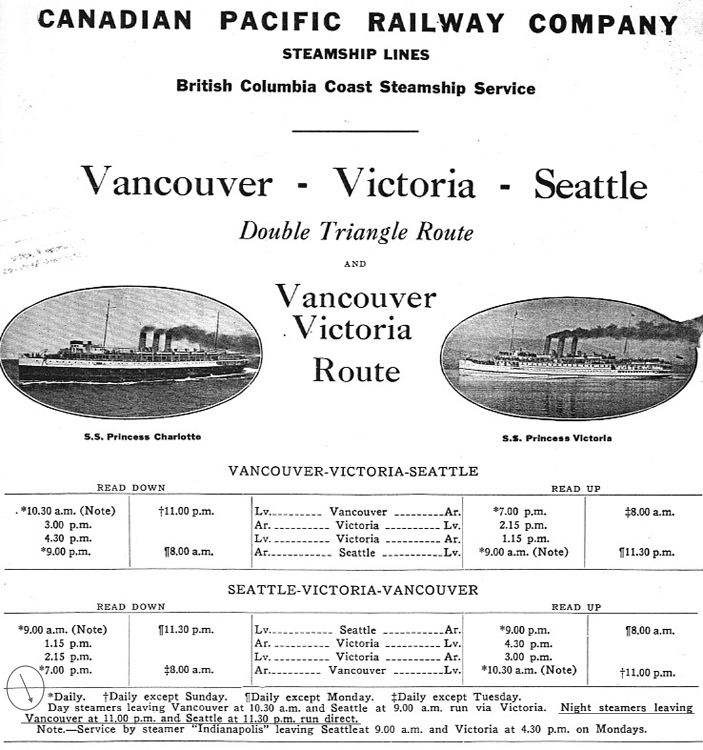 They arrived in Vancouver on March 16, 1919 and played an exhibition game there on March 17 before immediately catching an overnight ferry directly to Seattle. They arrived there on the morning of March 18. There was no opportunity for anyone with the Canadiens to be biding their time in Victoria, and even if there had been, virtually everything ever written about the Spanish Flu mentions how remarkably short its incubation period was. There’s no way someone could have been exposed to the flu even if the ferry stopped briefly in Victoria on March 17-18 and then not show any signs of illness for two weeks until March 31. Jo-Anne Colby during research for my Y/A novel Fever Season. Given that there were two days off between some of the games in Seattle during the series, it’s not impossible (though highly unlikely!) that a player or two may have gone to Victoria for a visit during their time off. But no newspaper I’ve come across reports on that happening during a hard-fought series where rest would have been the top priority between games. 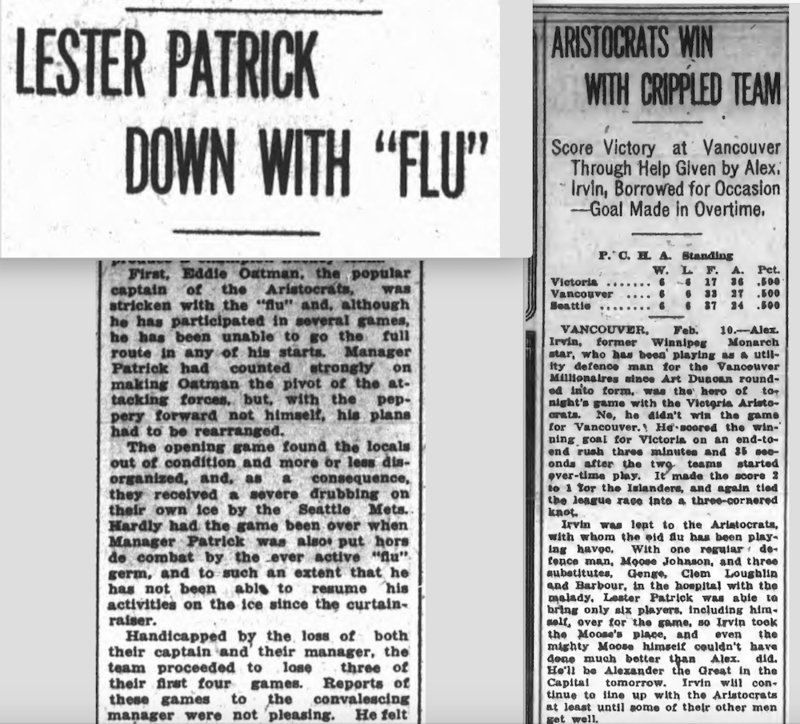 I think the simple fact that so many players in Victoria had been sick during the 1918-19 season meant that it was easy (and lazy) speculation on the part of reporters at the time to say that the Montreal players got sick in Victoria. Unfortunately, nearly 100 years later, the story still persists. That is the first time I have noted anyone giving more that a cursory comment on that tragedy. In fact I was not aware of the deaths of some like Hamby Shore due to the flu. You deserve a pat on the back for this digging. Eric, if the mumps vaccine was discovered in the 60’s, it was not ready for general use at the time you contracted them. With me as your mother, who was up on every vaccine at the time, and with Uncle Sid, who was your paediatrician and an excellent one at that, if there had been a vaccine for the general population, you would have received it and not gotten the mumps. It came out afterwards and you didn’t need it. P.S. Glen, if you had read Eric’s book, Fever Season, you would have learned all about the Spanish flu and the hockey players that got it. Another very interesting article, Eric! Thanks so much. I learn a lot reading your very well-written words!